Our pot fulls of gorgeous fire-shaded flowers erupt in late summer with this beautiful montbretia. Here we have combined some of the most exquisite varieties to produce a really bright statement later in the year, when many other plants are finishing their display, these come in to their own. Also known as 'falling stars' or 'copper tips' it's easy to see why as the star shaped bright red, yellow and orange flowers seemingly flicker off the tips of stems like flames dancing in a breeze. 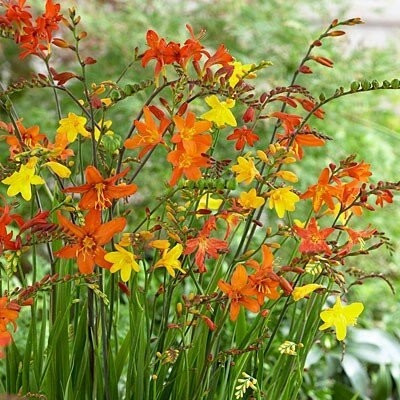 Crocosmias lend themselves well to landscaping projects and large gardens where a mass of plants is required to create an impact, it an often to be seen planted around lakes and ponds for this very reason. The flowers themselves are trumpet shaped ranging in colour from orange-red-golden shades, creating the perfect impact for late summer plantings. Pack of TEN Plants in assorted fiery shades, supplied in approx 1-2 litre containers. 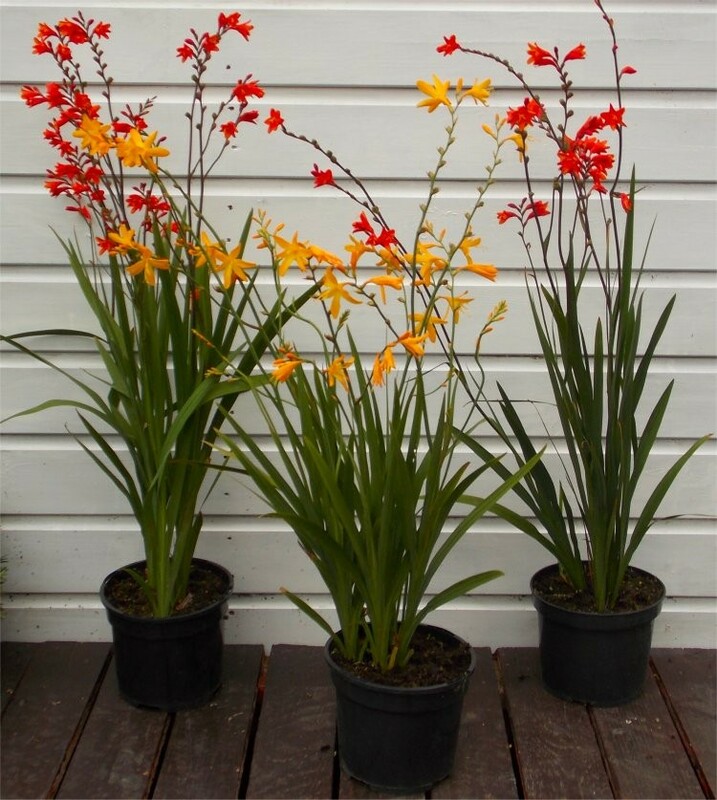 Our Crocosmia Plants in summer when in bud and flower are always looking hot! Typical Plants as supplied in summer are pictured.